People that visit Spain find that Spanish wines have great quality and are very affordable. Wines made in Spain include reds, whites and sparkling wines, which means that there is something for any taste. 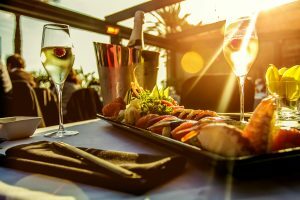 If you want a really authentic experience, go to a tavern or a tapas eatery, where the atmosphere is very different from the one in fancy restaurants and fancy wineries. Bullfights are not for everyone. A bull fight is bloody and cruel. However, if you want to see how an authentic Spanish event feels like, a bull fight may be for you. A bull is a pillar of Spanish culture. It is also the center of many ancient Spanish rituals, including running of the bulls and bullfights. Flamenco dancing has grace and rhythm. You can see a colorful, tasteful and soulful performance in any major Spanish city. The best authentic clubs are located in Madrid, Cordoba or Seville. There a crowd includes both locals and tourists and you’ll be able to get close enough to see dancers sweat. 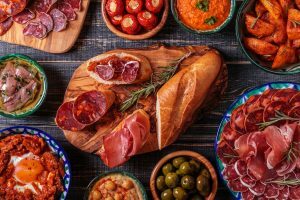 You will be able to try some great food everywhere in Spain, but nowhere in the country does food become an art form the way it does in northern Spain. The Basque Country is known for its fine dining establishments. Barcelona and Catalonia are now considered to be culinary stars of Europe. San Sebastian is one of the cities that gourmands from all over the world flock to because they want to experience its cuisine and restaurants. Many of the country’s hotels are historic properties that include ancient castles, monasteries, convents and former palaces of the Spanish royalty. While some of the accommodations are very expensive and luxurious, others are reasonably priced. Examples include the Parador Principe de Viana in Olite near Pamplona and Parador de Carmona near Seville.